After moving into Butler House, but before starting as faculty (aka, when we had time), Amy and I made sliding door hardware for our kitchen pantry. Unlike most metal work I do, this required precision, otherwise the doors do not hang level or meet flush with one another when closed. 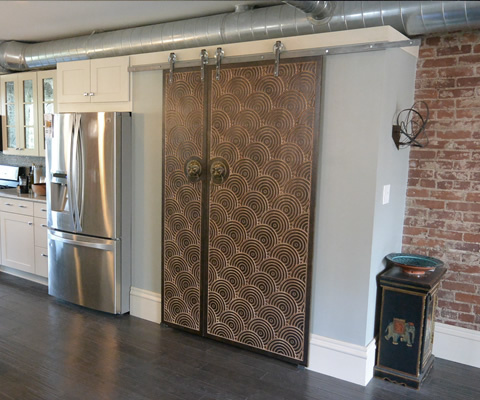 The doors also had to be asymmetric due to the position of the refrigerator. We eventually figured it all out, but ran out of time to do something interesting with the doors themselves. And so they hung as a pair of unfinished pieces of plywood for over a year - functional, but not very interesting. 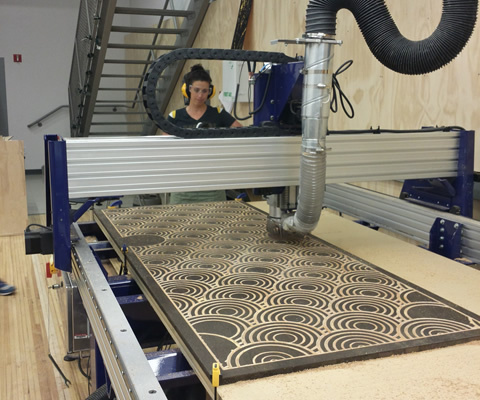 Then, in July of 2015, John Antanitis was kind enough to give us a primer on V-Carve and suggested we do some test projects to get practice on the ShopBot. 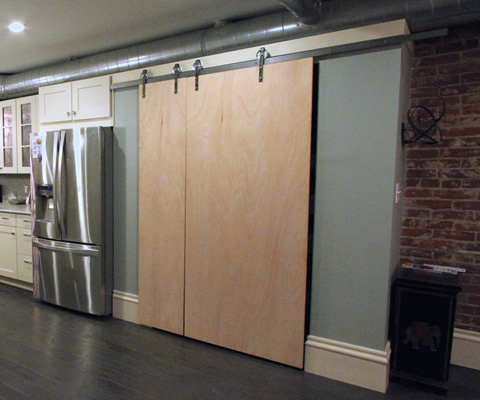 By this point, the pantry doors had long been sitting on our to-do list and became our first substantive project. After some experimentation with wood stain and milling using V bits, we came up with a repeating circular pattern of varying plunge depths. 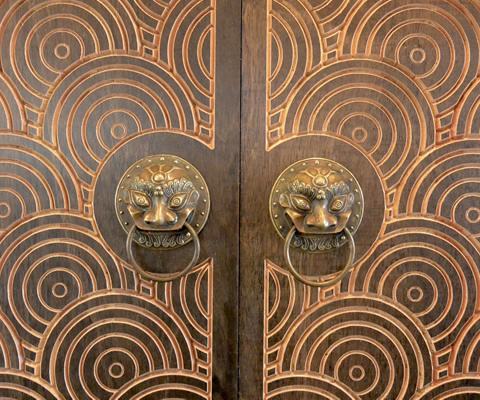 This design also complimented a pair of circular door knocks we had picked up in China during WEF. We couldn't be happier with the end result.